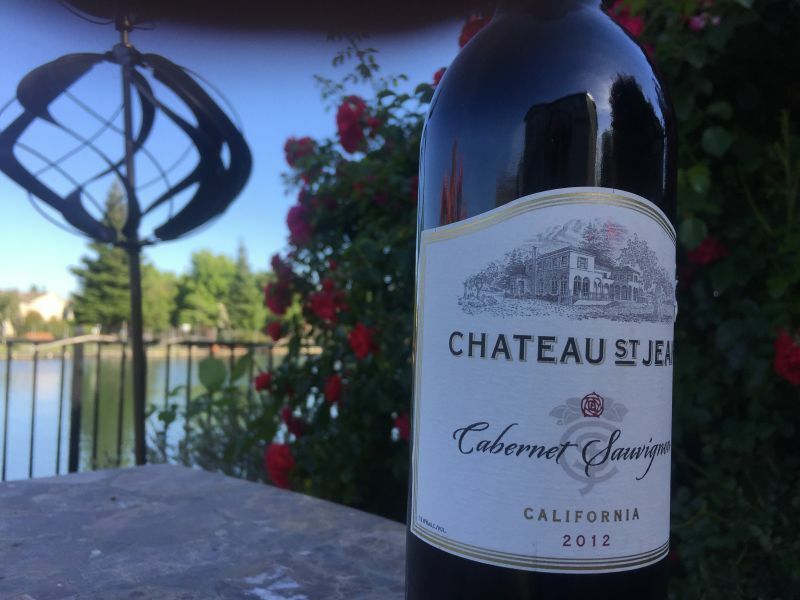 This week our search for a bargain wine brings us the 2012 Chateau St Jean Cabernet Sauvignon. The winery is located in Kenwood in Sonoma County. This wine, however, states its origin as being California; the grapes presumably coming from locations in the state other than Sonoma. California Girl and I have not visited the Chateau St Jean estate, although the pictures on their website make it look extremely attractive. The winery produces a wide range of wines, with the one under review being very much at the cheaper end. Their website shows a 2000 Merlot Magnum for $480. Our wine cost just $12 from Target. The nose offered the barest hint of plum, with green pepper and vegetables the dominant notes. Taking a sip, my first impression was of an aggressive acidity. The second and third impressions were also of this acidity. There was a hint of raspberry. The tannins were muted. I think the best that I can say about this wine is that there was nothing artificial about it and it was not undrinkable. I have had worse cheap Cabernet Sauvignon, but there is better wine available in the $10-$15 price range.